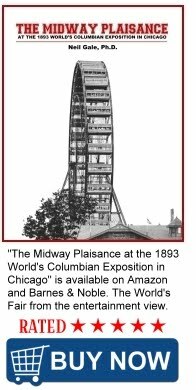 The Digital Research Library of Illinois History Journal™: Electric Park (Amusement), Marion, Illinois. 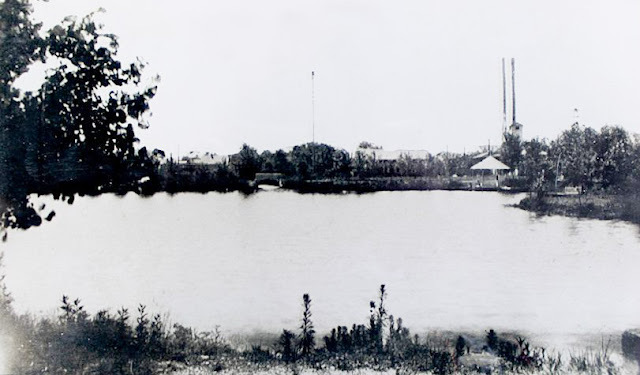 The Marion Electric Park is another one of those marvels that was available at the turn of the century in Marion, yet little is known of it. It was located at what is now the Marion City Reservoir just off of East Boulevard Street. When it started and ended is yet unknown. 1905 Postcard view from East Boulevard Street looking North showing boat house on right, the old concrete bridge center frame still exists, smoke stacks from Mill on North Market are visible on right. From the postcard photo it appears that most of the park was located on the south side of the main body of water that we still have in use today on Boulevard. One of the buildings in the background is likely the opera house. A few things are obvious in the postcard photo. One is the concrete bridge in center frame that still existed last time I looked at the reservoir. It was and still is located on the south end of the main reservoir. The second thing about the photo is the smoke stacks from the mill operating on N. Market Street. Early on they were built and operated by William Aikman and lastly by Bracy Supply Company to market flour. Photo from around 1904, tracks would likely be south of the city reservoir. 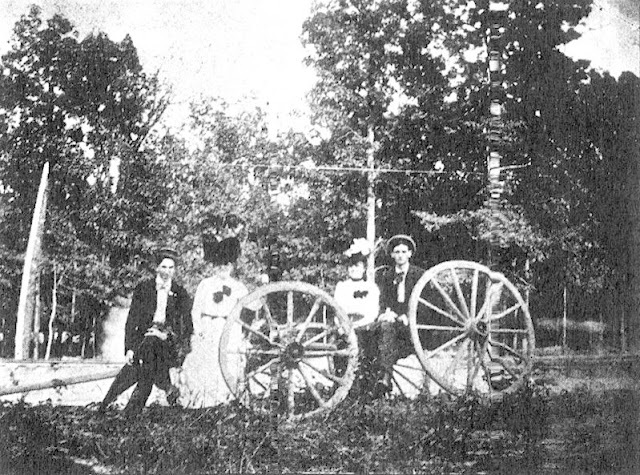 In the 1905 Souvenir History book, there are three photos dedicated to it but no explanation about it anywhere that I have found. Perhaps it is one of things where everyone knows about it, so why explain it. Clearly there was a boat dock as seen in the postcard and an opera house as seen in the photo from the Souvenir History book. The “resting along the tracks” photo surely refers to the railroad tracks that ran just to the south of the property and still exist there today. 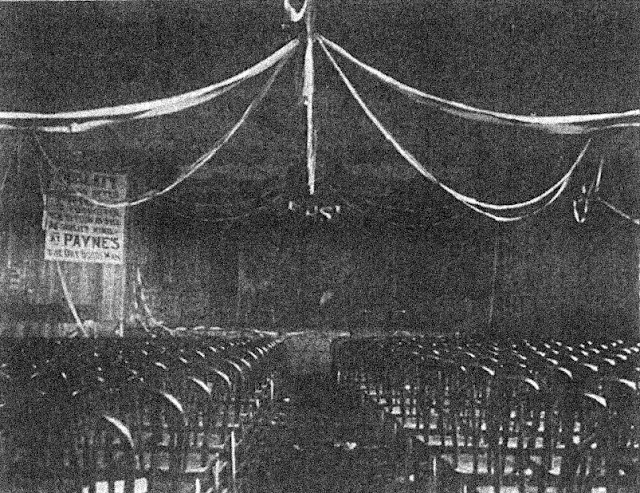 Opera House at Electric Park (1904). 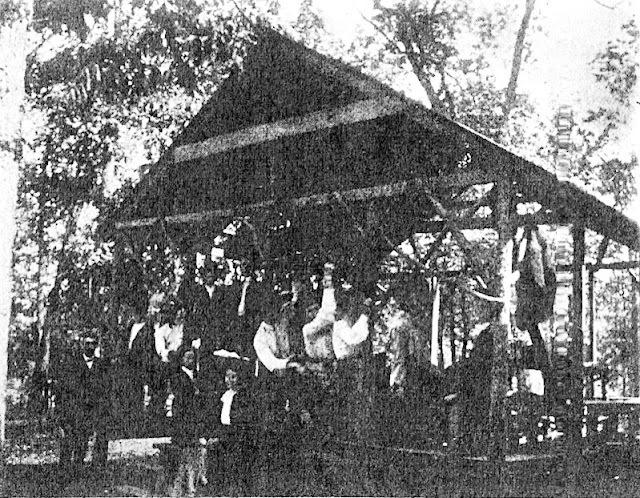 High School class of 1904 at Electric Park. The only other note that I have on it is that the Coal Belt Electric Line made a stop at Electric Park. 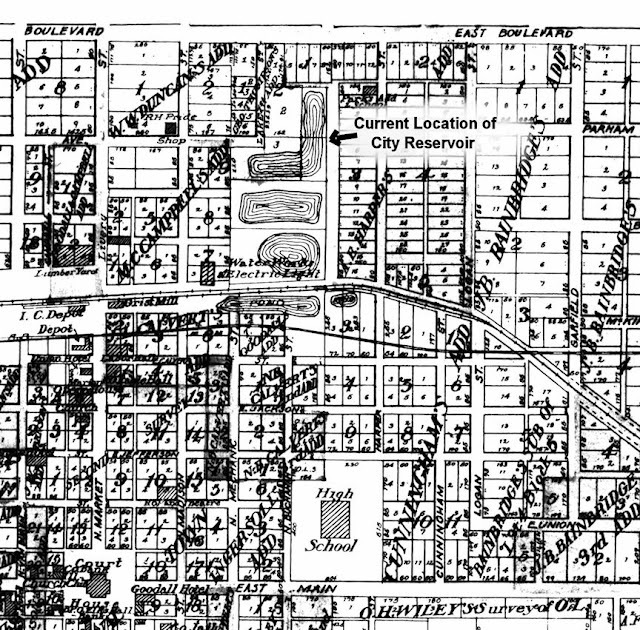 The singular absence of the Marion City Water Tower is conspicuous which may explain the extra ponds south of the main reservoir shown in this 1918 map. 1918 map showing multiple reservoirs, current city reservoir and location of Marion Electric power plant. The company that supplied power to Marion was called the Marion Electric Light and Water Company. These may have been early containment ponds that were kept filled by the deep wells that Marion relied on for water in the early days.